You can rely on All Screens & Blinds guarantee to measure and manufacture your custom made blinds so they fit your window perfectly, the first time. 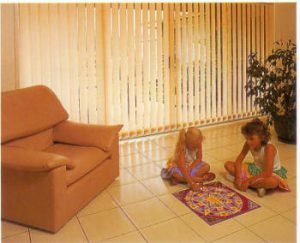 All Screens & Blinds offer verticals With a complete range of styles, colour, and options. Chainless Bottom weights are sewn into the hems providing virtually no maintenance for the life of the blind. All Screens & Blinds offer roller blinds, made to measure, in a wide variety of fabrics that are certain to please the discerning home owner. Plantation shutters are a beautiful window covering that can fit into any décor, from ultra modern to the more heritage federation style home. The simple style, timeless beauty and warmth of timber, combined with durability and ease of use, make Plantation Shutters the perfect solution for all types of windows and doors. 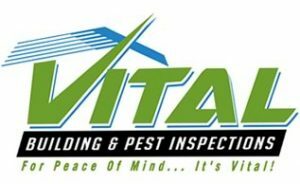 Capture the beauty of your home by asking us to help find the best solution you. 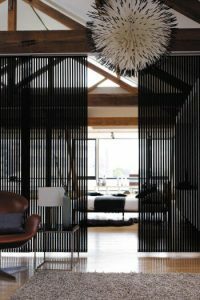 All Screens & Blinds offer Venetian blinds in Micro (16mm), Slimline (25mm) Woodline & Perforated (50mm) configurations. 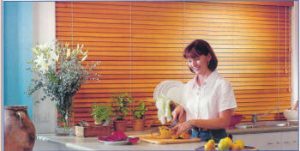 All Screens & Blinds offer both Western Red Cedar, and Basswood timber Venetian blinds. The natural warmth created by using plantation grown Basswood and natural WRC is incomparable. 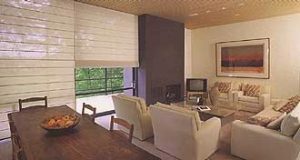 Blinds are available in oiled, lacquered, or painted finishes and are completed with a 76mm or 90mm facia. 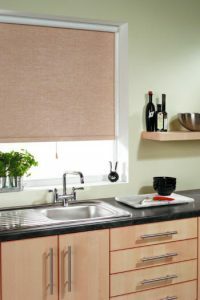 Vaux Wood, or Imitation Wood Blinds have been available now for over 10 years. All Screens & Blinds offer the Visionwood range using the latest cutting edge co-extrusion technology from the USA. Visionwood has been designed with the harsh Australian climate in mind. Available in both 50mm and 63mm widths, and a range of colours to suit all tastes. Tradition Roman blinds are available in a wide range of sophisticated fabrics, in both block out and light filtering options. 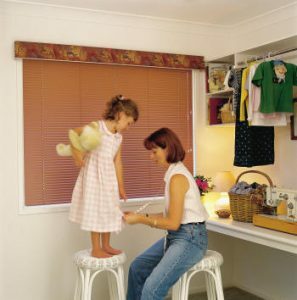 All Screens & Blinds offer a new and exciting product for your home. 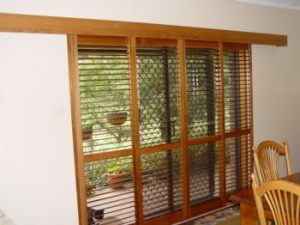 Panel glides for windows or room dividers. Just take a look at our extensive range of fabrics and colours.